Once again my marine science class was on another field trip. We spent our day at the Vancouver Aquarium. I seen all kinds of animals from cetaceans to reptiles. Even African Penguins were there. Yes AFRICAN penguins. They some how amazed me. 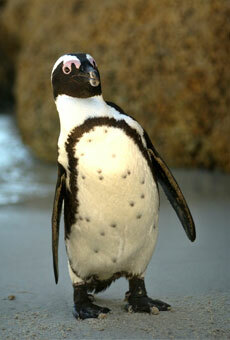 Here is the thing, I always thought penguins are only found in the South Pole, not in Africa. The African Penguins or Spheniscus demersus is the only well known species of penguin to live along the southern coasts of Africa. They are found in colonies on islands and on the costal mainland from Namibia to South Africa. Theses creatures are also called “black-footed” penguin (due to their feet) and “jackass” penguin (due to their donkey-like call). Look at the picture above. What are the pink patches above their eyes? Those are actually their bare skins that turn pink when get hot. This is one of the way for them to cool off. African Penguins must be able to cope with both cooling down on land and keeping warm in water as they live in sub-tropical climates. Not only unique animals that the aquarium have, they also have really good facilities like marine mammal rescue. This is one of their programs that I am interested in. This video got me wondered about the program. Marine Mammal Rescue centre at Vancouver Aquarium is the only organization in Canada that exclusively treats marine animals. The team is simply on-call 24 hours a day, 7 days a week to rescue the aquatic organisms found in distress in British Columbia. The facility provide housing and care for ill, injured and abandoned marine mammals until they are ready to be put back into their natural habitats. After rehabilitation, the rescue centre works with Fisheries and Ocean Canada (a government agency), which make the final decision on weather the animals can be release into local waters. They have both indoor and out door space for the patients to recover. Indoor space include food preparation areas, a laboratory, a pharmacy, an examination room and a recovery area. Out door facilities consist of varieties of holding tubs and pools to suit different sizes and species of marine animals. New arrival or sick animals are kept separated from the healthy ones. Marine mammals arriving at the aquarium may be infected by bacteria, virus or parasites. Therefore, they are placed in quarantine for at least 14 days. 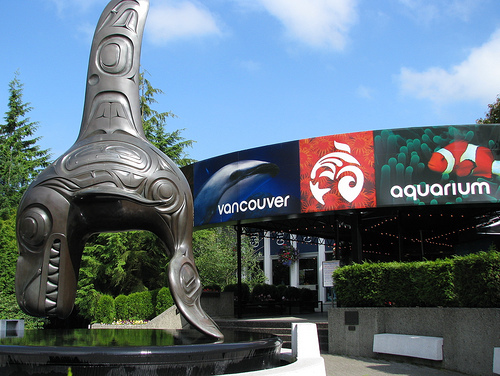 If you had a chance to visit Van City, I recommended the aquarium to be one of your attractions stop.